Thank you for visiting the Fume Cigar Shop & Lounge website. Fume was the vision of two cigar enthusiasts who had a desire to create a store and lounge with the cigar smoker in mind. Fume Cigar Shop & Lounge offers a warm and welcoming environment for smokers from beginner to aficionado. We offer a large selection of premium cigars, boutique cigars, machine-made cigars, 5-packs, cigar samplers, pipes, pipe tobacco, lighters, humidors and cigar cutters. We carry top cigar brands such as Acid, Arturo Fuente, Avo, Don Pepin, La Gloria Cubana, Liga Privada, Montecristo, Macanudo, Padron, Punch, Rocky Patel, Romeo y Julieta and Tatuaje. Additionally, we carry accessories from famous makers including Colibri, Vertigo, Xikar and Zippo. 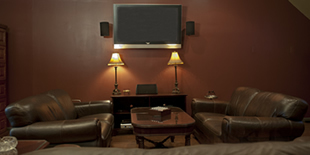 We feature a comfortable and sophisticated lounge that caters to cigar smokers. Our lounge has HDTVs, game tables and humidified lockers for cigar storage. We conduct events regularly, featuring one of the many brands we carry, with special deals and promotions. Check the rest of our website for exclusive cigar deals, discount cigar prices and great events.